Is it profitable to use BLOG BOOSTER ? After a week running the Postpromoter upvote and resteembot script this really seem to work well! Upvotes are calculated by how much you pay and how many posts share the upvotes in each round. This is really positive for you and your posts, the small fee I demand is paid back with 7 upvotes on average. 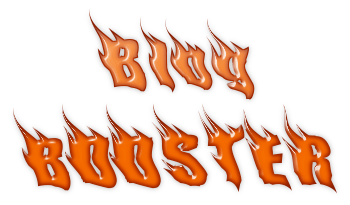 Send a minimum of 0.005 SBD or STEEM to @blogbooster, and your post get an upvote from me. But not only that; you also get a BOOST with multiple upvotes from my curation trail! Think about this; you get 5,6, maybe 7 upvotes, for the cost of one! Higher bids give higher value on the upvote from me, and always in profit for you! This is also a RESTEEM BOT! If you send 0.1 or more you also get a resteem to my 4300+ TRUE followers! I also regularly look through the posts, and the truly great ones get additional resteems on my old @steemrat plus the @blogboost support account. Great service .. lot's of upvotes for a very small price ! Free Crypto for small task done on Steemit ! Stop abusing the #resteembot tag with content that has no connection to Resteem Bot, just to get some attention for your service. #resteembot is for resteembots. You are not mentioned at all.